Hooray – I’m FIR compliant…so now what? 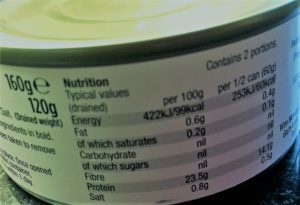 You’ve got nutrition information on your product labels, so that’s it – job done and you are fully FIR compliant now….right? Whether you have had your nutrition information calculated or analysed, it is only going to be valid for the recipe as it was at the time of the analysis. If in the future you decide to tweak the recipe, change the way it is processed or launch new products, then you have to make sure you have the nutrition information updated and incorporated on the pack or label before you even begin selling the product. Even if you never ever change the recipe, nutrient contents of raw materials can change over time so it’s good practice to review your nutrition declaration approximately every 2 to 3 years. 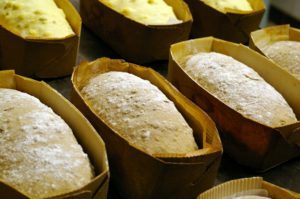 You may need to do this more frequently if you are using a lot of ingredients that have sub-recipes of their own, as your suppliers may also make improvements or changes to their products. Make sure you keep up-to-date specifications or information about all your raw materials so that you are aware if there are any changes that will impact upon your ingredients, allergen and nutrition labels. Is nutrition information here to stay? What about Brexit? The idea that following Britain’s decision to leave the EU means that we no longer have to follow EU law is a myth I’m afraid. A spokesperson from the Chartered Trading Standards Institute had said that any changes in food regulation wouldn’t come into effect until at least two years from now so in the meantime the current EU food regulations still stand. The government has even stated that following Brexit there will be greater flexibility for front-of-pack nutrition information, as currently under EU law, it is only voluntary so, it certainly looks like it is here to stay! If you have now found yourself in the unfortunate position that the 13 December deadline has passed and you have not implemented the new rules on nutrition labelling yet, make sure you take action as soon as possible. AB food nutrition specialises in recipe analysis & nutritional labelling advice, and our confidential, personalised yet cost-effective nutrition labelling solutions make us the ideal partner for a food business of any size. Contact Anne for further details. With all the headlines and TV shows around at the moment focussing on sugar and how we are consuming too much, one phrase I hear regularly is “hidden sugars” and how our food is “full of it”! Having been involved in writing the information that must be shown on labels (otherwise known as pack copy) since my first job in the food industry some 18 years ago, this phrase really makes me sigh. By law all ingredients must be labelled – and that includes anything added that is deemed to be sugars, so it most definitely cannot be “hidden”. Not only that, but one of the fundamentals of food labelling is that it “must not be misleading”, and I have been fortunate over the years to work with teams of labelling technologists who share my passion in making sure labelling is done with the consumer in mind. I can recall many hours deliberating over aspects of labelling information with such individuals, and then we still have to keep the marketeers in check to make sure they don’t get carried away with what I affectionately call “marketing fluff”! So, is it any wonder why we get upset when the media accuse the food industry of misleading and hiding things? It seems that there is an overall lack of understanding amongst consumers as to what is actually classed as ‘free sugars’. As always, education plays a huge part because you can put all the information possible on a food pack, but it is useless if it is ignored or not understood. 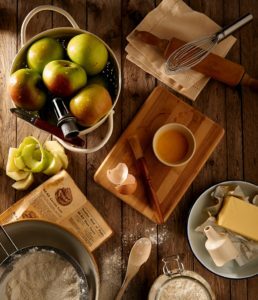 The official definition of free sugars is, all monosaccharides and disaccharides added to foods by the manufacturer, cook or consumer, plus sugars naturally present in honey, syrups and unsweetened fruit juices. Under this definition lactose, when naturally present in milk and milk products is excluded. 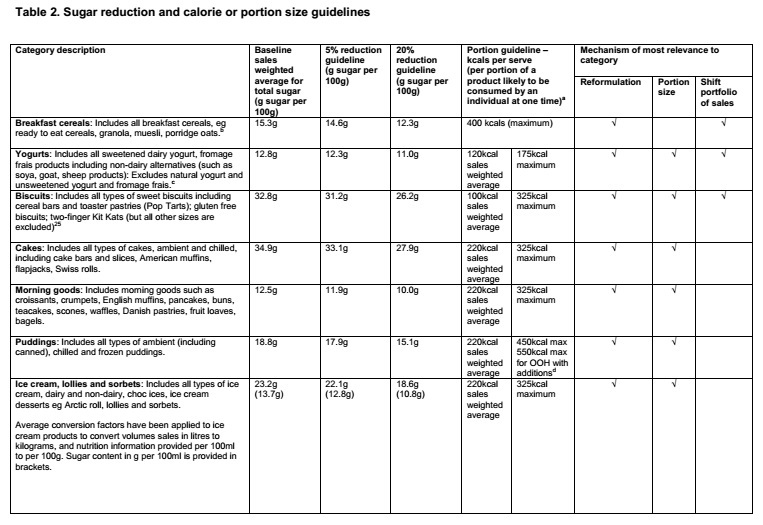 So how do we educate consumers to enable them to choose foods ain order to meet the new dietary recommendation – of which free sugars should not exceed 5% (population average) of total dietary energy? Firstly, consumers need to understand which foods generally contribute the most free sugars in the diet – so that they can choose to limit or reduce the amount and frequency by which they consume them. These foods include chocolate and sweets, cakes and biscuits and of course sugar-sweetened drinks. Secondly, they need to understand the names of different types of free sugars so they can look out for them in the ingredients list on pack, and because the order is in descending order by weight, if a type of sugar appears near the beginning of the ingredients list, the product is likely to have more free sugars than one in which any sugars are at the end. Some common names for those added to foods are sucrose, glucose, molasses, dextrose, honey, invert sugar, treacle, glucose syrup and maltose. There has also been a lot of discussion lately about how we can improve the labelling of free sugars to make it easier for consumers to meet the new maximum sugar intake recommendations. 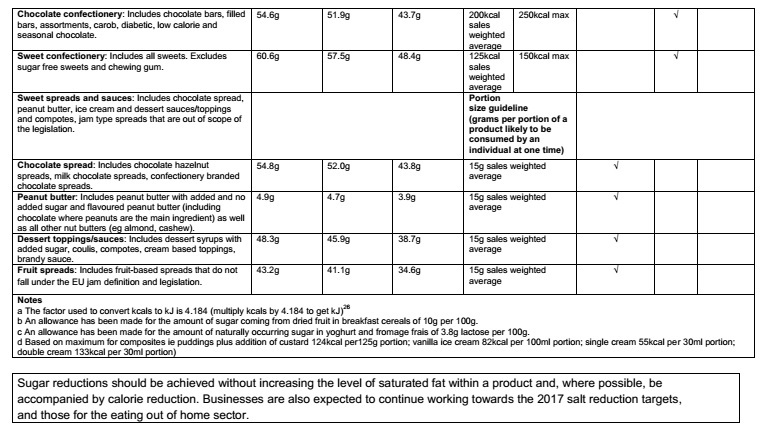 Currently, under EU law, sugar labelling shows the total sugar content – this includes both the free sugars and naturally occurring sugars, and from December it will be mandatory to include this information on the back of most packaged foods and drinks. 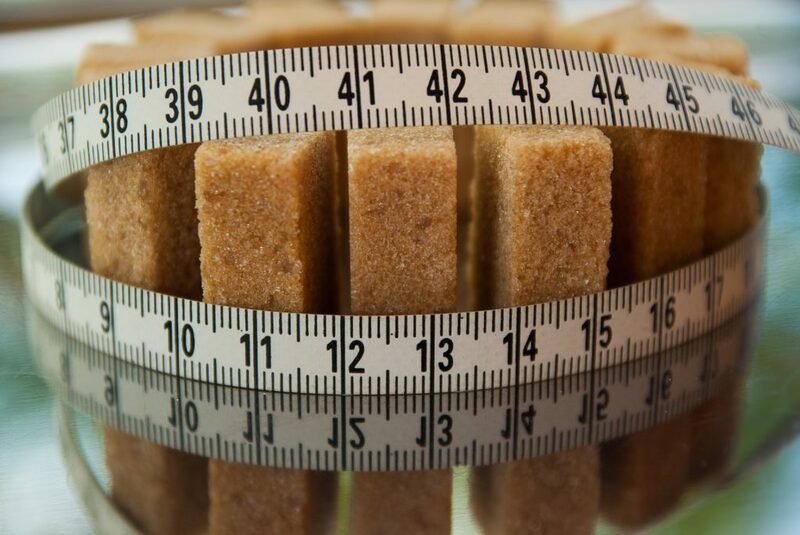 The UK Government has also confirmed that it will introduce clearer visual labelling (such as teaspoons of sugar) to show consumers about the sugar content in packaged food and drink – though this will be voluntary. The government has even indicated that Brexit will provide “greater flexibility” in relation to front-of-pack nutrition information. Use fruit such as raisins, dried apricots, dates or bananas instead of sugar, which naturally add sweetness to breakfast cereals and plain yogurt. Sweet-tasting, spices like cinnamon, nutmeg, cloves and ginger are a great way of adding flavour when preparing foods at home. Try just a thin layer of jam or marmalade on wholegrain toast. Swap sugar-sweetened beverages to sugar free drinks or better still water, tea or coffee (without adding sugar!). 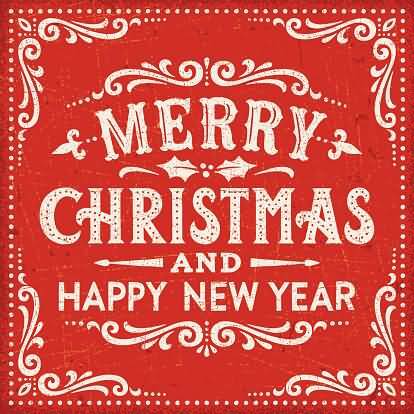 On 13 December 2014, new rules set out in Regulation (EU) No. 1169/2011 on the provision of food information to the consumer (FIC) became applicable. The provision of nutrition information on a mandatory basis for prepacked foods was introduced in this regulation, however in order to give food businesses time to prepare, the date of application was set at 13 December 2016. The FIC does not define ‘local’ nor ‘small quantities’ in the exemption. The Commission has said that the interpretation of the exemption is left to individual Member States. turnover/balance sheet total of £1.4 million (the equivalent of €2m). ‘Local retail establishments’ means ‘sales within the supplying establishment’s own county plus the greater of either the neighbouring county or counties, or 30 miles/50 kilometres from the boundary of the supplying establishment’s county’. The Department of Health have updated the technical guidance to reflect this interpretation. The guidance is available here. Here is a link to a useful Q&A document from the Food Standards Agency. However, it is important to note that where a permitted nutrition or health claim appears on the labelling, presentation or advertising, nutrition labelling then becomes compulsory (Regulation (EU) No. 1924/2006 lastly amended by Regulation (EU) No. 1047/2012). If you believe you may be exempt from mandatory nutrition labelling, it is advised you seek advice from your local enforcement authority. If you do need to apply back of pack nutrition labelling – but have not yet put plans in place, please contact Anne to discuss your requirements and to obtain a competitive quote.